Tom Brady’s supermodel wife Gisele Bundchen isn’t the only fashion icon in the family. 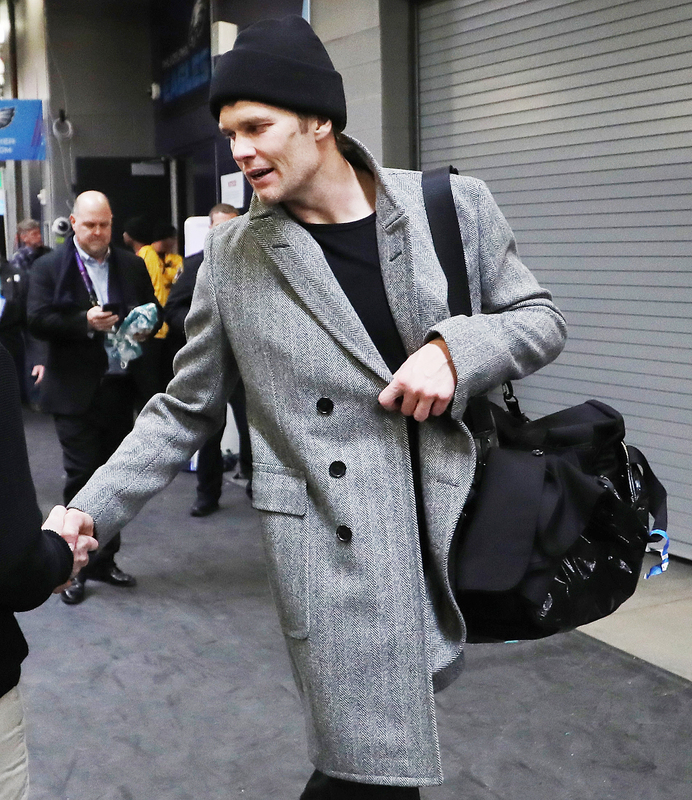 The 6-foot-4 Patriots quarterback showed up to Super Bowl LII on Sunday, February 4, looking like a Zoolander character in a ridiculously long, popped-collar peacoat, dark sunglasses and awkwardly placed earbuds — and social media promptly erupted. Of course, most people just wanted to roast Brady’s dramatic getup. “Brady looks like the overconfident european assassin who dies in the last twenty minutes of an action movie,” wrote on person on Twitter. Added another: “Tom Brady is either going to win the Super Bowl or die while trying to assassinate Jason Bourne in Zurich.” A third person tweeted that the 40-year-old had borrowed his wife’s jacket. Of course, Brady has bigger things on his mind. The Philadelphia Eagles made history on Sunday night with it’s first-ever Super Bowl win.